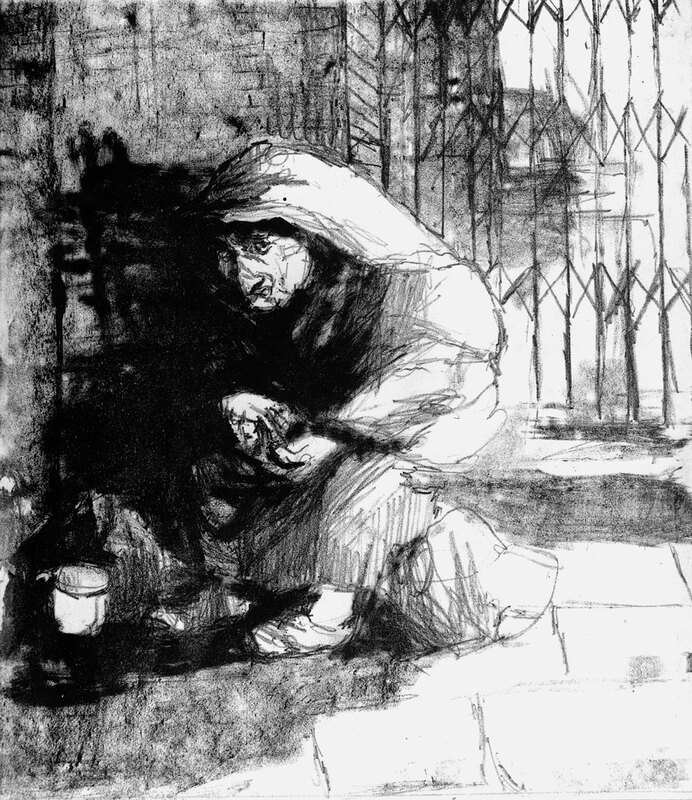 description A full-length lithographic portrait of a seated, elderly beggar woman with covered head, positioned in front of a closed gate in Whitechapel, either resting or begging for alms. Her body is hunched forward and her expression troubled. On the ground by her feet is a small cup, perhaps intended for donations. 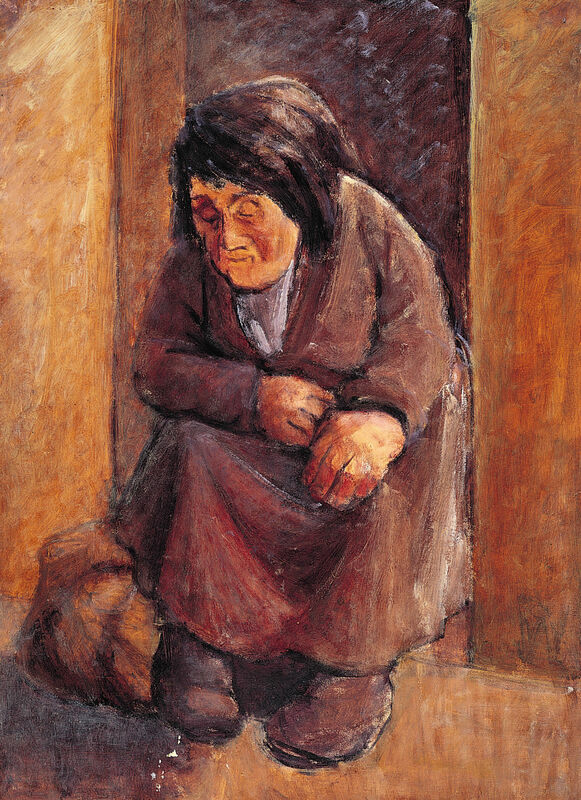 The composition and pose are similar to those of the elderly woman in the oil 'Homeless'. exhibition history 'Eva Frankfurther 1930-1959: Memorial Exhibition', Boundary Gallery, London, 15 June-18 July 2001, (78), NFS. literature ed., B. Planskoy, 'Eva Frankfurther 1930-1959: Paintings, lithographs and drawings' (London: Peter Halban, 2001), illus., p. 36.